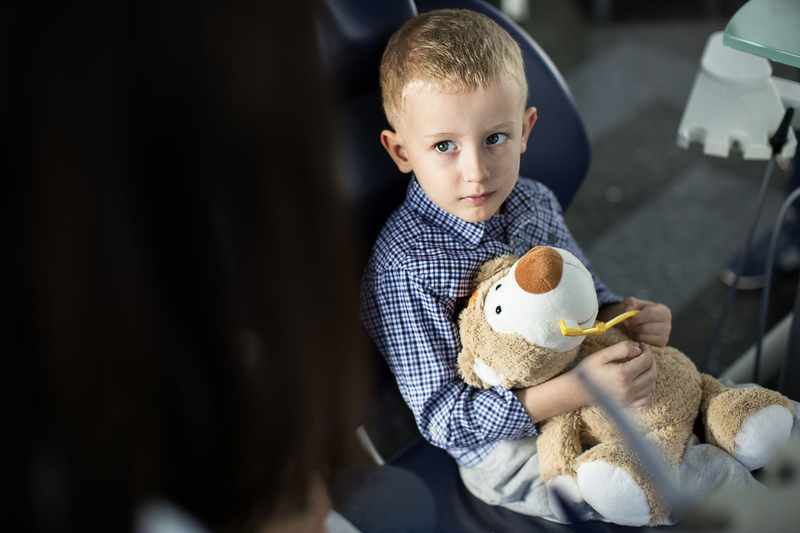 Little boy looking at dentist washing teddy bear teeth. Shallow DOF. Developed from RAW; retouched with special care and attention; Small amount of grain added for best final impression. 16 bit Adobe RGB color profile.